If you struggle with removable dentures, Dr. Blank can give you a completely new smile with custom-designed permanent teeth in just one day. Are you a good candidate for a secure new smile? Do you suffer with loose-fitting dentures? Do you miss eating your favorite foods? Are you tired of dealing with removable dentures? Dr. Blank delivers fully functional, natural-looking, completely secured teeth in just one day with the revolutionary new treatment of TeethXpress™. Because conventional dentures are not permanently affixed, they allow the bone in your jaw to shrink a little every day. As a result, dentures tend to loosen and shift easily over time without regular professional adjustments. 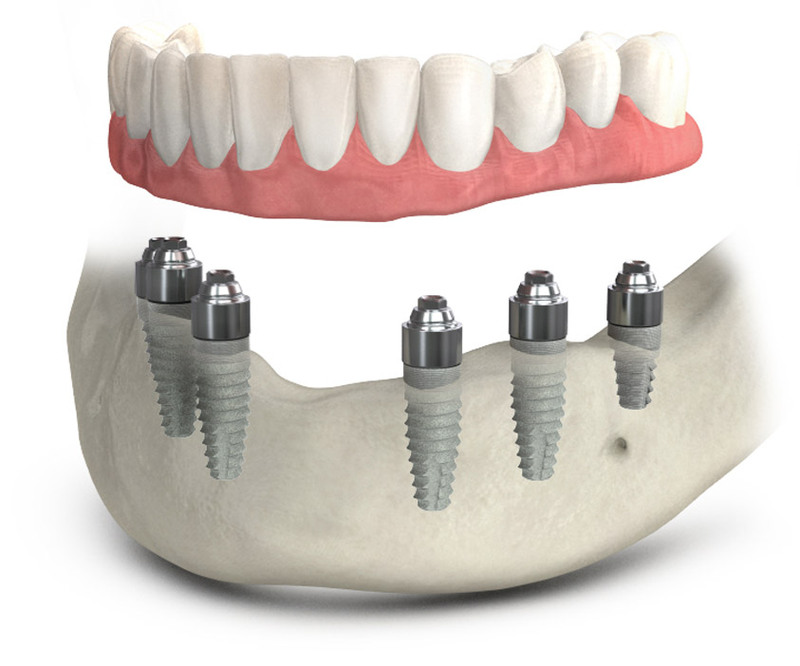 With TeethXpress™, we use dental implants to permanently secure your denture to your jaw. These implant-retained dentures do not cover your palate and provide the strength and stability of natural teeth. This advanced solution prevents bone loss in your jaw and enables completely natural function for eating, talking and other activities without any fears of slippage.